By far one of the most prominent horse events in February is the Scottsdale Arabian Horse Show & Shopping Expo, beginning this Thursday and running through to February 26. 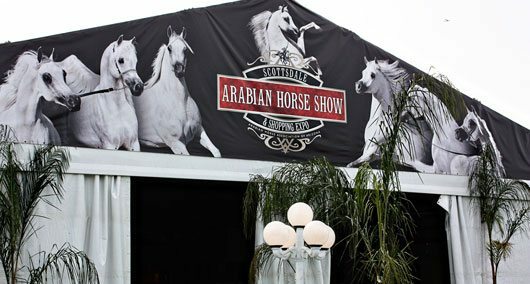 It’s held at the beautiful WestWorld facility and whether Arabians are your breed of choice or not, this show is a must-see, if you’re in the area. This year, nearly $600,000 will be paid out at the show. Last year was my first introduction to the show and I loved it. From the tradeshow, to the stall fronts, to the many classes, It truly is the biggest and the best. 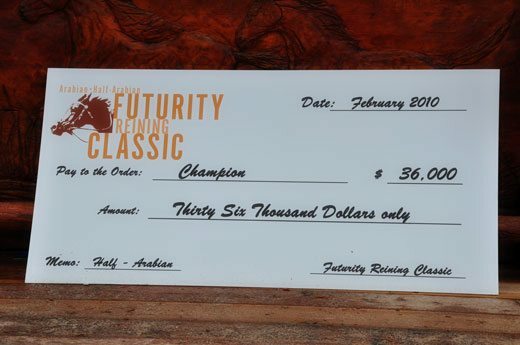 I’m looking forward to seeking out this year’s Reining Futurity Classic, a popular event for the Canadian contingency, which once again, has a stunning $150,000 up for grabs and is NRHA sanctioned. This event has a purebred and half-Arabian component to it. Watch also, for the non-pro and amateur derbies, again for both purebred and half-Arabians. 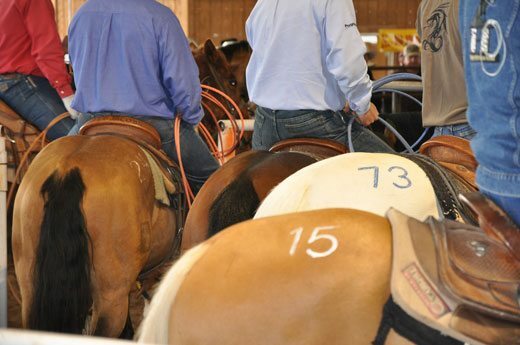 Jenn blogged about the annual Hershberger Performance Horse Sale when she attended it in 2010. This year this sale again will feature reiners, cow horses, cutters, barrels, head, heel and calf horses, many with top pedigrees, earnings and credentials in the show pen. Look for it at the Horseshoe Park and Equestrian Center, in Queen Creek, on Feb. 18. DeWitt Stables of Mesa, Arizona, will also be hosting a draft horse, mule and wagon auction on Feb. 17-18. I’m told this is Arizona’s largest draft horse and mule sale. Call (480) 266-8190 for info. South Buckeye Equestrian & Events Center features a team roping school this week with Becky and Travor Mahoney. Join the Arizona Desert Riders for their Wickenburg Progressive Ride, from Feb. 15-18. Dunn’s Arena, at Litchfield Park hosts regular Friday night sorting, roping and barrel racing. The Scottsdale Saddle Club, Arizona’s oldest and most active saddle club, has a Western Show on Feb. 25, held at the dreamy Arizona Horse Lover’s Park in Phoenix. Cowboy mounted shooting offers up a vibrant culture in Arizona. If you missed the Cowboy Mounted Shooting Association Winter Championships last weekend in Buckeye, head down to Casa Grande on Feb. 25-26 for what’s headlined as “not your Gramma’s shoot!” – The Gunfight in Arizona. Last year in Germany, I happened to have a chance to attend a medieval jousting festival. 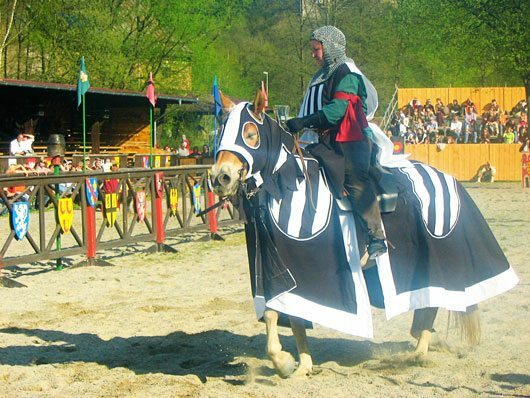 Held on ancient castle grounds, it was a completely unexpected and fascinating side trip, learning and experiencing this vibrant equine sub-culture, which exists surrounding the Middle Ages and the sport of jousting. I just learned Arizona also has it’s own Renaissance Festival. It runs every Saturday and Sunday until April 1, held near Apache Junction. If you haven’t experienced the town of Wickenburg, their annual Gold Rush Days, Feb. 16-19, might be a good time to take a drive there. The town celebrates it’s ranching and gold-mining heritage with a parade, rodeo, dance, arts and of course, a staple of Arizona’s Wild West – gunfighter’s shootouts. I plan to hit the Carefree Indian Market and Cultural Festival, Feb. 17-19. It’s an inaugural event featuring native American art, music and dance. Canadian Cowboy Country magazine, along with Lindsey Edge and Dee Roy banded together to host this incredible online auction on Facebook to raise money for the Cooper Children’s Trust Fund. “Cam Cooper, 40, and his brother Wade, 44, died in northern Saskatchewan June 28, 2011 in a float plane crash that also claimed the lives of three others. Cam and Wade each left behind a wife and three children. It is such a worthy cause, and I’ve been so inspired by the strength and generosity of our community, just browsing through the page and viewing the extensive line-up of donated items. One of which, happens to be a two week stay in a donor’s Arizona City, Arizona home, including such goodies as the use of golf clubs and yes, a pool is included! There are literally hundreds of other items up for offer on this page, so take some time to check it out if you are able, and get bidding!